Munich - The awards keep coming for FC Bayern München, or at least in retrospect of their startlingly successful 2012/13 season. 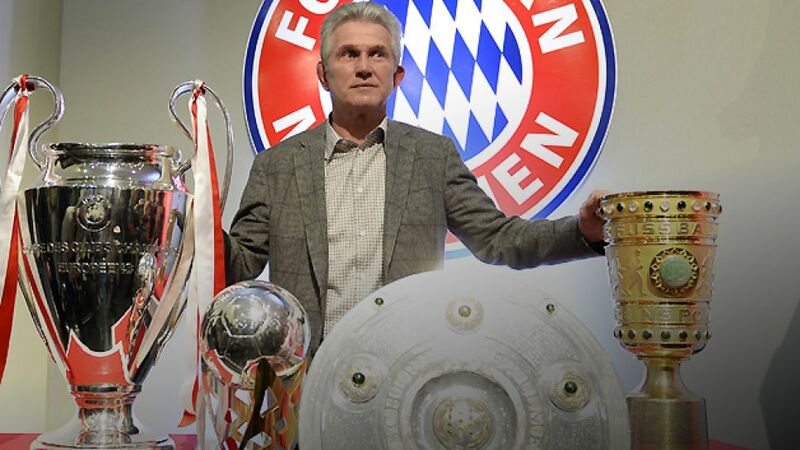 After being named Club of the Year, and boasting the Goalkeeper of the Year in their ranks, the architect of that success Jupp Heynckes has been named the International Federation of Football History and Statistics (IFFHS) World's Best Club Coach. Already winner of the DFB's Fair Play prize back in September, 68-year-old Heynckes has now earned more recognition of his unrivalled achievement in leading FC Bayern to no fewer than in the 2012/13 season. The DFL Supercup was followed, in chronological order, by the Bundesliga, UEFA Champions League and DFB Cup. Heynckes retired at the zenith of his profession, being replaced by Pep Guardiola in July. His successor Guardiola has won the IFFHS award twice, but this is the first time Heynckes has taken the prize after, not surprisingly, picking up twice as many votes as the runner-up, current Borussia Dortmund coach Jürgen Klopp. According to a statement by the IFFHS, Heynckes 'conducted his team in the last two years on the top of Europe and he shows also the current attraction of German football'. Selected editorial offices and experts from 70 countries from all corners of the globe take part in the annual vote, which was held for the 18th time this year. The classification for 2013 (below) also includes Guardiola for his achievements in just five months as coach of Bayern.